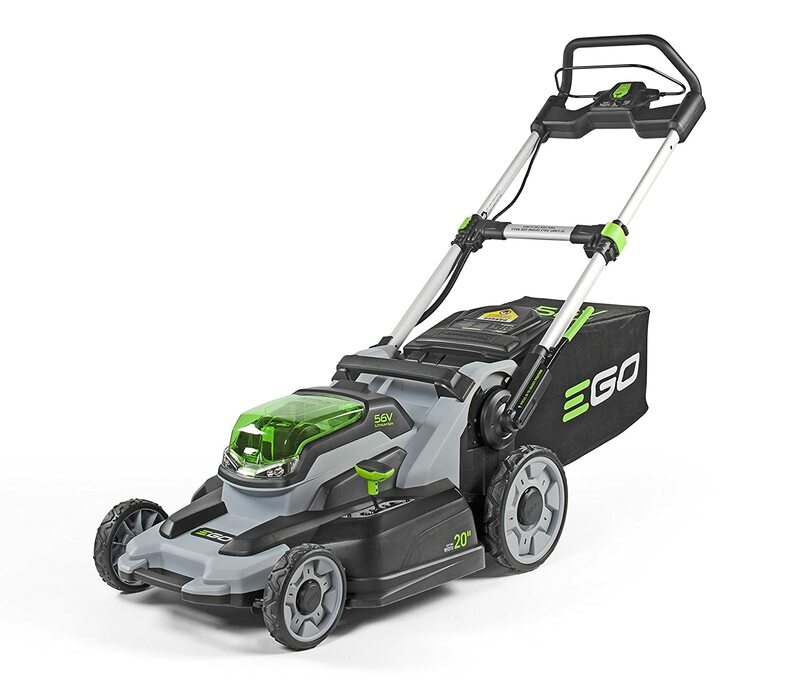 With its weather-resistant construction and rapid charging capabilities, the EGO Power+ is rated as the best walk behind lawn mower. This powerful cordless electrical mower offers a 45 minute cut time 30 minute charge time with its advanced Arc-Lithium 4.0 Ah 56 Volt battery and rapid charger. The EGO Power+ folds quickly and easily for compact, upright storage that is convenient and out of the way. The 20-inch cutting capacity makes it great for less cut travel time and for you to finish the job quickly. The weather-resistant exterior construction makes this mower a heavy duty option and an overall best choice for your next walk behind lawn mower. It does include battery and rapid charger so you can pull it out of the box and get ready to cut in no time. The EGO Power+ cuts with the rugged power of a gas mower without the harsh fumes, and pollution. It is lightweight and there is no need for self-propelled wheels based on this feature alone. It is exceptionally quiet to operate and comes with LED headlights for the added convenience of cutting during the evening when it is cooler outside. The EGO Power+ outperforms other models easily with being dubbed the “Tesla of mowers”. Blade height adjustment is easy, with the simple switch of a small lever. Every inch of this mower has been well-engineered and is top premium quality. With all the power and control this cordless electric lawn mower has, you will be certain that this is the lawn mower for you. 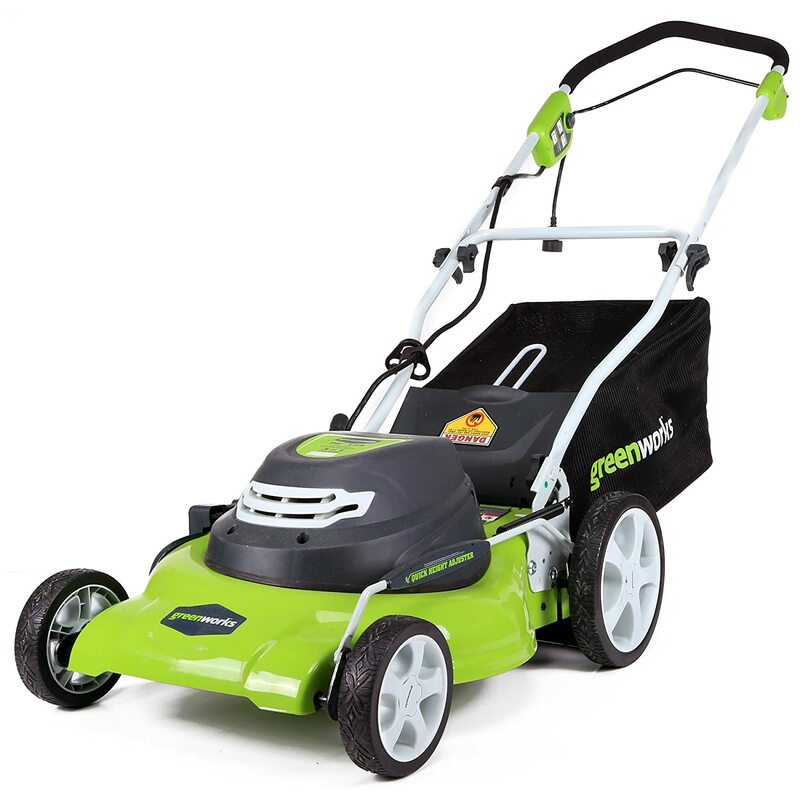 Its 20-inch cutting deck, the lightweight design, a high powered battery designed for maximum power, and dual blades will make your experience in cutting grass easy and effortless. 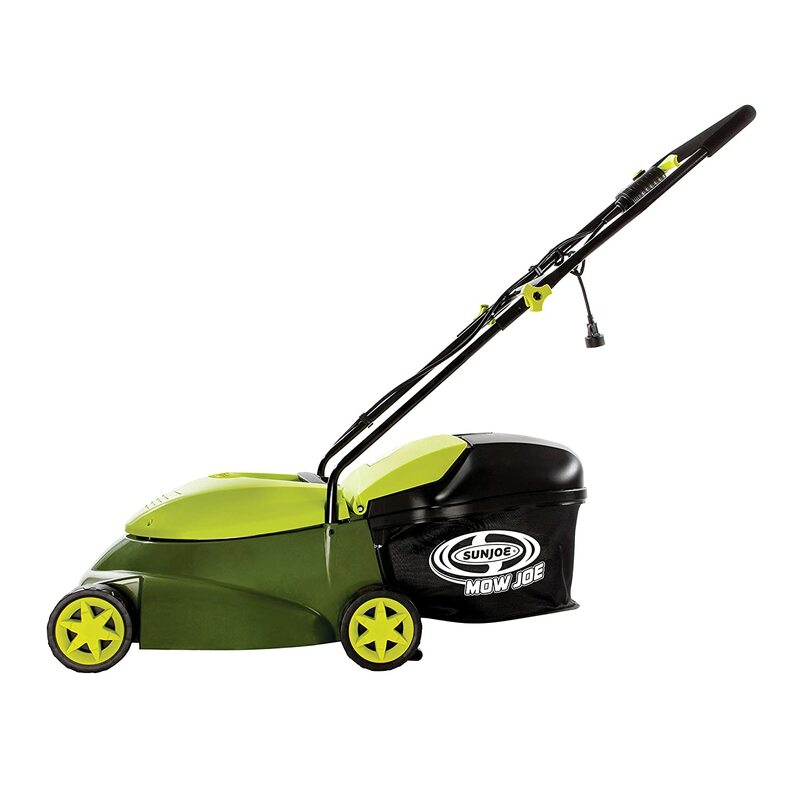 The sleek design makes for an easy lawn cutting experience because of the heavy-duty performance it offers. Not to mention, the warranty provides great confidence that this mower is certain to last for years. The quality performance of this lawn mower makes it hard to beat. Ryobi is another well-trusted brand that builds quality and durable home improvement tools that last. Their lawn mowers are no different with their reliable running power and efficiency. The 16-inch cutting deck is smaller yet easy to push and offers flexible maneuverability. 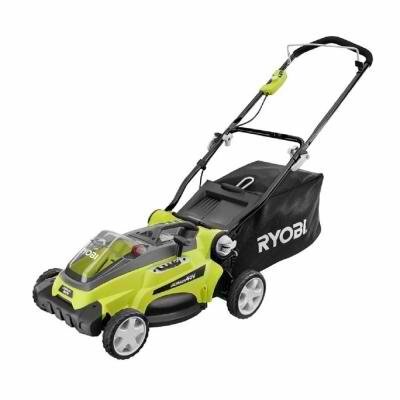 The battery for this lawn mower is universal to the other yard tools that Ryobi offers, so the convenience of having one type of battery is only an added bonus. The single-lever height adjustment makes selecting your grass height a breeze. With the added 5 year warranty, it makes for a great option to look into as a mower for smaller to mid-size yards. This 12 amp 14-inch mower is smaller than the other options, however, don’t stop reading just yet. Another great eco-friendly option, this mower is also maintenance free. The powerful 12 amp motor cuts a 14-inch wide path that is great for the smaller yards. It has tailored cutting heights with 3-position height control and a detachable grass catcher that makes for easy disposal of your clippings when finished. It also comes with a full 2-year warranty that builds confidence that this mower will last beyond expectations. The sleek design is deceiving as it is exceptionally durable for your small yard and is very light to push. All of these qualities make this mower a great recommendation when looking for a corded electric lawn mower. GreenWorks is hard to beat environmentally-conscious yard maintenance brand with top rated quality products that are efficient, easy to use and provide top rated features that others just can’t match. This 20-Inch lawn mower is top of its class with the 3-in-1 grass collecting or removal options. The 7 position height adjustment allows for a custom selection of grass height and the 10 inch rear wheels provide ease of use maneuverability around hard to reach stationary objects that would typically be in your way. It’s perfect for mid-size yards and allows for effortlessly maintaining your lawn without the fuss of other hard to manage mowers. It’s no wonder this brand has made this list of top rated products again because their design, features, and branding are top notch quality.